Our kids deserve the very best in pediatric care. Providing that care is why Dayton Children’s exists. While our pediatric experts are nationally recognized, it’s our specialty in caring for kids locally that truly sets us apart. Plain and simple – no one is more committed to the health, well-being and safety of the children of our community than Dayton Children’s. We are proud of our accreditations and awards which speak to the quality of care we provide. They show we are following national standards, policies and procedures which are required for our pediatric hospital and are going above and beyond to make sure our children are taken care of. Dayton Children’s Hospital was honored in 2016 with the Better Business Bureau’s Community Honor award. 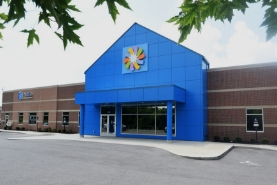 The Better Business Bureau established it to honor a community-based government, nonprofit or education organization with a proven commitment to improving all aspects of life in the Miami Valley. It spotlights the honoree’s efforts to realize not only its own mission, but its role in making the Miami Valley a thriving community, taking care of its citizens – individuals and organizations. It demonstrates a passion for and progress towards improving the quality of life. This honor is reserved for an organization which has shown stamina, steadfast determination and truly innovative ways of giving back to the community. Dayton Children’s was recognized with a 5 star Award for Excellent Performance in Physician Engagement and a 4 Star Award for Excellent Performance in Nursing Care and Electronic Medical Records System by national healthcare research leader Professional Research Consultants, Inc. (PRC). The Excellence in Healthcare Awards recognize organizations and individuals who achieve excellence throughout the year by improving patient experiences, healthcare employee engagement and/or physician alignment and engagement based on surveys of their physicians. Dayton Children’s earned the 5 Star Award in Physician Engagement by having an exceptionally high number of physicians respond in the 2015 survey that they are highly engaged, placing the hospital in the 98th percentile nationally. The 4 Star Awards in Nursing Care and Electronic Medical Records System place Dayton Children’s in the top 25th percentile in the country. In addition, the percent of positive responses increased from the previous survey completed in 2013. Dayton Children's received Magnet designation® on July 18, 2018. Magnet designation is nursing’s highest honor, meaning Dayton Children’s Hospital has been recognized nationally as the gold standard in patient care and the professional practice of nursing by the American Nurses Credentialing Center (ANCC). Our pediatric intensive care unit (PICU), the region's only intensive care unit devoted to pediatrics, won the first-ever Ohio Patient Safety Institute Best Practices Award in 2009 for our outstanding record of decreasing incidence of central line bloodstream infections. In 2016 Dayton Children’s was the recipient of the 7th Annual Dr. Frank Dono Best Practice Award for their quality improvement project that reduced methicillin-resistant staphylococcus aureus (MRSA). The award is given in memory of Dr. Frank Dono, a member of OPSI and a strong patient safety advocate. Through a variety of efforts, MRSA rates decreased 73 percent from 2008 to 2009 and compliance is sustained at 97-100 percent. Rates of hospital acquired MRSA remain 01.-0.2/1000 patient days. 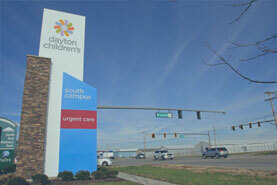 Dayton Children’s has been named time and time again a Top Place to Work in the Dayton Daily News/Springfield News Sun “Top Places to Work” selection. 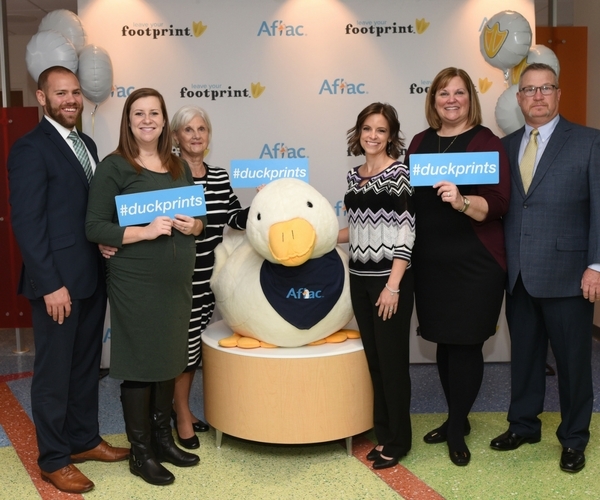 Dayton Children's is also one of few companies in Dayton named one of America's Top 150 Workplaces by Workplace Dynamics among 872 participating organizations across the country. This recognition is the result of a survey completed by Dayton Children's employees. The survey measures employee engagement, organizational health and employee satisfaction. Survey questions focused on qualities such as company leadership, compensation and training, workplace flexibility and diversity. Dayton Children’s is honored to be named to the top 50 hospitals nationwide in pulmonology in the new 2018-19 U.S. News & World Report Best Children’s Hospitals rankings. U.S. News introduced the rankings to help families of children with rare or life-threatening illnesses find the best medical care available. Dayton Children’s pulmonology division sees more than 7,000 children every year and is proud to offer the latest treatments, clinical trials and comprehensive care for kids with respiratory issues, including asthma, cystic fibrosis, sleep apnea and many others. Our unwavering commitment to providing the best children’s health care is our most important pledge to you, and entrusting us with your health care needs is our greatest compliment. Dayton Children’s earned the 2018 Women’s Choice Award for Best Children’s Hospitals and Best Children's Hospital for Emergency Care . The Women’s Choice Award is the only evidence-based designation that identifies the country’s best hospitals based on robust criteria and what women say they want from a hospital. This award identifies hospitals women can choose with confidence, trusting they excel at clinical care and patient experience for their families. The Comprehensive Cancer Care Center is accredited by the American College of Surgeons and is one of only a few approved programs in the country. Our Clinical Laboratory, Genetics Department, Respiratory Department, and Outpatient Lab Testing Centers are surveyed every two years by the College of American Pathologist (CAP). Our Blood Bank is also FDA regulated. The Cystic Fibrosis Center is accredited by National Cystic Fibrosis Foundation. The echocardiography laboratory is accredited by the Intersocietal Commission for the Accreditation of Echocardiography Laboratories in all forms of Pediatric echocardiography and in Fetal Echocardiography. The National Association of Epilepsy Centers is designated as a Level 3 Epilepsy Center. Dayton Children’s Hospital and Children’s Home Care of Dayton are both accredited by The Joint Commission, an independent, national accrediting body that oversees the safety and quality of health care delivery and related services. Medical Imaging is accredited by the American College of Radiology including our CT and MRI program. The Medical Imaging Department for X-rays and Nuclear Medicine is also licensed by the Ohio Department of Health. The pediatric sleep center is accredited by the American Academy of Sleep Medicine. 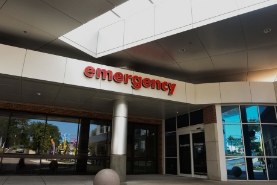 Dayton Children’s Hospital is verified as a Level II Pediatric Trauma Center by the American College of Surgeons Committee on Trauma. Dayton Children’s Hospital is the only verified pediatric trauma center in the region staffed entirely by pediatric specialists.